Joseph Peña, 6-4, Forward, Brooklyn Law & Technical High School - Pena is forward that can do anything on the court and play positions three through five. Has good ball handling skills and can also step out and shoot from long range. Also possesses toughness and can battle in the low post for rebounds. Elvys Ceballos, 6-3, Shooting Guard, WHEELS (Washington Heights Expeditionary Learning School) - Ceballos finds multiple ways to score. He is a player that is good at slashing to the basket. Can easily get past defenders and go to the hole. Looks to score every time he has the ball in his hands. Charles Brown, 6-3, Shooting Guard, Brooklyn Collegiate High School - Brown that has plenty of toughness. Gets to the hole easily and has good physical skills. Great at absorbing physical contact and grabbing rebounds in the paint. Knows how to bully his way into the lane with his first step. John Egbuta, 6-5, Shooting Guard, Commonwealth Academy (MA) - Egbuta loves to score and has plenty of athletic prowess when going up for two at the basket. Possesses plenty of toughness when going up for a rebound. Struggles with shooting jumpers. Anahijae Cooke, 6-5, Shooting Guard, Carolina Basketball Academy (NC) - Cooke puts in a great effort on both ends of the court, especially on defense. Finds ways to score. Is a very solid defender that knows how to slide his feet and stay in front of his man when needed. 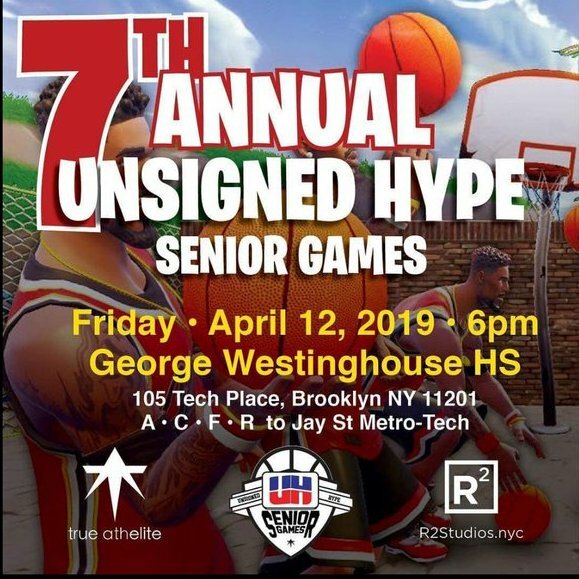 Gabriel Blenman, 5-8, Point Guard, George Westinghouse High School - Blenman is jet-quick running up and down the court, despite his diminutive frame and also is a good facilitator to his teammates, when he needs to get an assist. Looks to score and is good at staying with his defender at 94 feet. Junior Sutherland, 6-2, Shooting Guard, Abraham Lincoln High School - A guard that can hustle and is a good finisher at the basket, but is always where his team needs him on defense. Has good length and good movement at the basket. Looks to get rebounds for his team, as well. Edwin Takyi, 6-1, Shooting Guard, John F. Kennedy High School - Takyi moves well on both ends of the court. Tough and scrappy on the court. Good at getting to the basket and looks to score at will whenever he has the ball in his hands. Prides himself on being a playmaker when he has the ball in his hands. Marcus Patterson, 5-10, Point Guard, Boys & Girls High School - A guard that has plenty of fearless instincts around the basket. Is a good facilitator and knows how to get his teammates the ball at the right time. Also has a terrific outside shot when he is left open behind the three-point line. Stephon Roberts, 6-8, Forward Medgar Evers Preparatory School - A big man that is a solid all-around player. Blocks shots and gets rebounds. Makes plenty of hustle plays on the court and is great at giving effort on the floor. Solid at scoring in the low-post area. Jordan Drain, 6-6, Forward, Bay Shore High School - Drain is tough and powerful in the low post. Great at getting blocks when in the low post and can attack the boards. A bruising forward who is not afraid to show his toughness in the post and uses his physicality to hold his own. Mohamed Wague, 6-9, Forward, Frederick Douglass Academy - Wague is a forward that can step out on the perimeter and handle the ball. Runs well on the floor for his size and is good at setting picks for his teammates. Has plenty of versatility in his game. Lacks strength, but makes up for it with effort. Savion Thousand, 6-3, Shooting Guard, Brooklyn Democracy Academy - Thousand has plenty of slick moves around the rim. Is not afraid of physical contact, as he is able to get to the basket and draw fouls in order to get to the free-throw line. Good at passing the ball to his teammates. Trey Clarke, 6-5, Forward, Brooklyn Democracy Academy - Clarke can play the three or the four, as he shows plenty of versatility in his game. A good rebounder & a good defender. Has good hands & is always looking to steal the ball. Surakata Jawara, 6-5, Shooting Guard, Our Saviour Lutheran High School - Jawara shows plenty of toughness when going to the basket and has plenty of finesse when it comes to his overall offensive game. Good at penetrating towards the hole. Sage Borbon, 5-7, Point Guard, James Monroe High School - A quick, diminutive guard that knows how to get baskets in transition. Is good at playing defense and shows a lot of hustle and looks to make great plays on both ends of the court. Is a speed demon on both ends of the court & also looks to get steals. Yarayah Evans, 6-7, Forward, Next Level Preparatory School (KS) - Evans is strong when going up in the paint for rebounds. Has the ability to get blocks on defense and is good at running the floor. Shows effort by providing plenty hustle and energy on the court. Jordan Agyeman, 6-6, Forward, South Bronx Preparatory School - A forward that has plenty of strength and has a good body for his size. splays plenty of aggression in the low post, but can also handle the ball and get rebounds. Displays plenty of athleticism when going up to the basket for two. Elijah Wynn, 5-11, Point Guard, Wadleigh Secondary School - Wynn is a competitor every time he gets on the floor and is a great distributor to his teammates. Has a lot of strength, will muscle in for rebounds and will push the ball up the court.